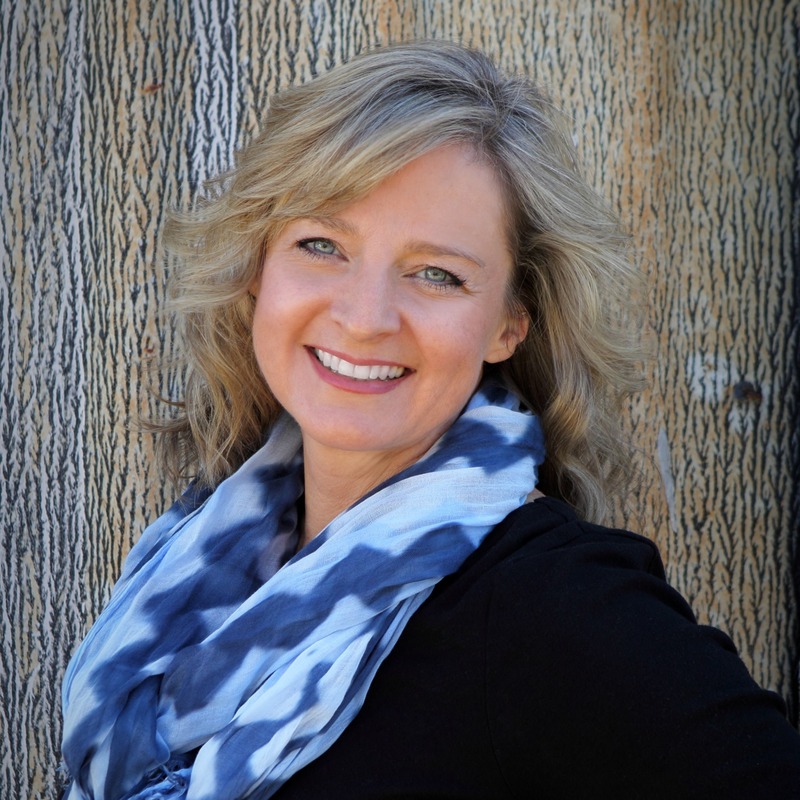 Staci Steidley is the president and principal designer for Studio Steidley in Dallas, TX. She creates fresh, serene spaces with a uniquely creative twist. Her aim is to transform her client’s homes into timeless and beautiful spaces with livable luxury. In her designs, simplicity in color palettes meet meticulous detail. Inspirations from nature often couple with modern and contemporary elements. Staci’s ability to listen to her clients’ needs enables her to create spaces that reflect their personality and lifestyle. In this way, beauty balances function. Her team works tirelessly to choose specific pieces to fit the unique nature of each space. Studio Steidley has won the National IDS Designer of the Year award in 2016 for Bathrooms and in 2017 in both Living Spaces and Kitchens. Staci is proud to be an Allied member of ASID and a Professional member of IDS. When Staci is not designing homes in Texas, she loves to travel to fun destinations, go sailing, and enjoy time with family and friends. New trends that dominated market this fall included highly saturated colors, a nod to more traditional lines in furniture, organic elements, and global influences. Within each of these trends, you will see a huge emphasis on texture! In every showroom, we saw chairs, chests, fabrics, and accessories – all relying on texture as the main player. Here are a few of my favorites. Selamat is known for their amazing textures and global elements infused in every piece. Their new swivel chair combines a cozy, lounge feel with woven rattan and a tufted seat cushion. I love how the scale of this chair makes such a statement, yet it has a simplicity in form. If I wanted to add a pop of color to the seat cushions, it would totally change the look. Love this one! Market Square is one of my favorite destinations at High Point and here is where you will find the Thibaut showroom. Everyone thinks of their amazing fabrics, but have you checked out their furniture? Beautiful! I love this console with the customizable, bright colors, the grass cloth texture and a performance finish on it. You can use their wallcoverings as the panel insets here. It is on trend, and yet classic in style. 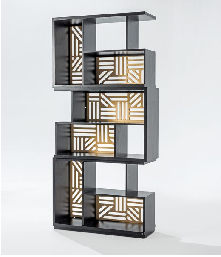 This bookcase by Adriana Hoyos encompasses everything that is hot right now – customizable, modular elements, geometric patterns, and a mix of textural elements! Not only that, at 94” high, this one will make a big impact in any home or office. 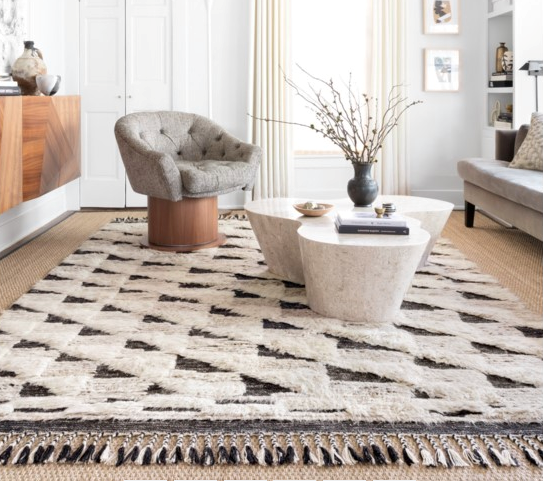 Loloi has introduced a whole new collection of rugs that incorporate high/low elements, super soft and longer piles, and artistic tassels that beg to be touched. No need for a pop of color here because this rug is center stage and carrying the show. Eastern Accents always is a thrill for me at market with their beautiful showroom, great parties, and luxurious fabric choices. I was in love with their fall introductions and their appreciation for textural elements in every new collection. 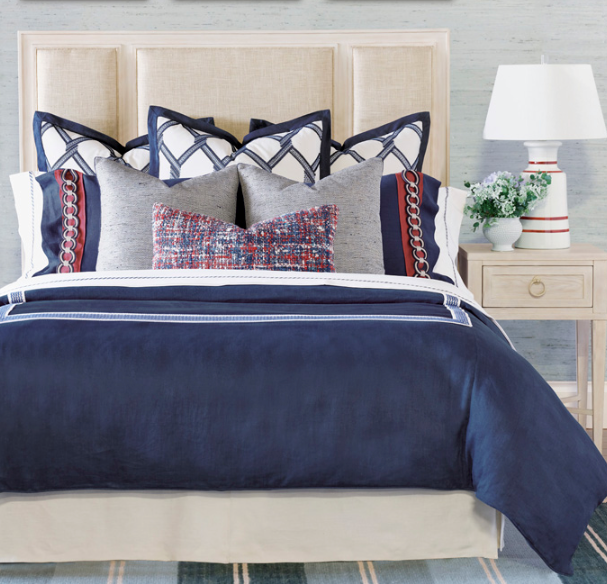 You can’t feel those Euro shams, but that geometric is all embroidered – amazingly beautiful. Pairing them with the tweed feel on the front lumbar pillow and then throwing metallic accents on the standard shams is perfection. The Codarus Showroom is always a delight with their varied selections and curated grouping of vendors. 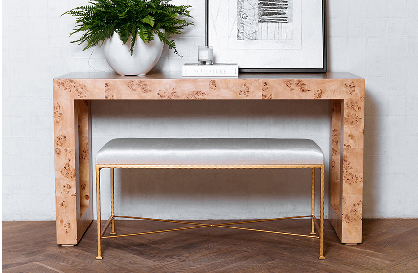 Ave Home caught my eye with their Chloe Console. 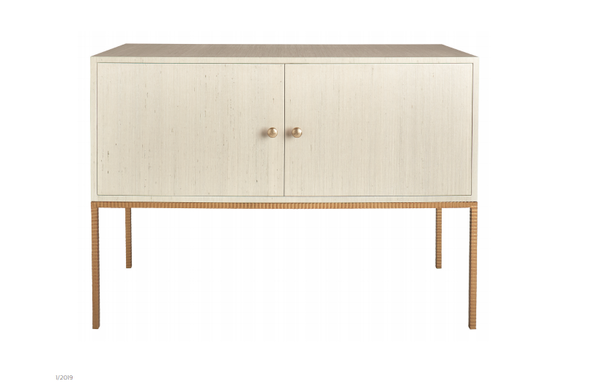 Burled wood takes a modern twist with this light finish and clean, chunky edged console. This is the piece you put in the entry to “wow” your guests and make all the other players in your home look a little more chic. It is hard to pick just a few examples of all the textural elements from High Point Market this fall and that makes me happy. When we have all of these gorgeous choices, we can’t help but create spaces that are not only photograph worthy, they are cozy-up worthy. This is the stuff that gives our designs depth and soul. 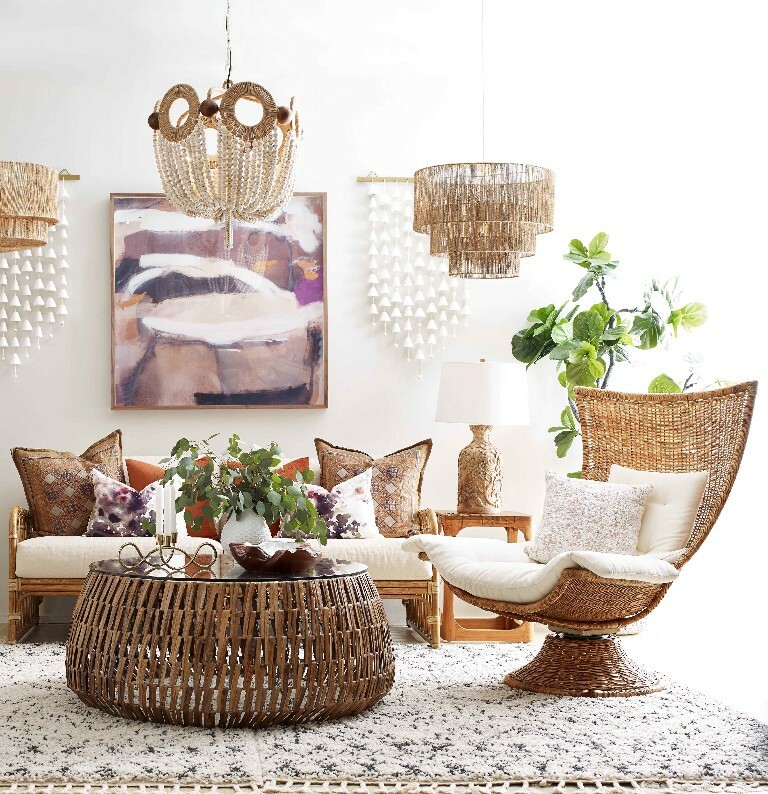 The warmth of wood, the nubby feel of tweed, the natural connection with rattan and the way we can use it all together is what this season’s design is all about.